Although this semifinal was scheduled for Saturday night, it’s conclusion came after one in the morning Sunday. Following a couple of shower intermissions, top seed Gael Monfils edged local favorite John Isner 6-4,3-6,7-6 to reach his initial final at the Legg Mason Tennis Classic. Four years ago, Isner surprisingly advanced to the final in Washington. Along the way, in their first encounter, Isner prevailed over Monfils, a top 50 player, in a thrilling semifinal third set tiebreaker. Tonight, subsequent to Isner carrying the opening game, Monfils’ turn was halted by rain. Ultimately when play resumed, the points went along quickly. After Monfils erased a break point to hold, Isner’s did the same with a 135 mph serve. Despite further difficulties, Isner maintained serve for 3-2. Later though, when Isner misfired on a forehand, Monfils had his second break point of the ninth game. The Frenchman converted courtesy of an errant forehand by Isner to ascend 5-4. Soon, with a strong service game, Monfils closed out the first set. Isner and Monfils had tussled five times prior, with each meeting decided by a third set. Apparently, Monfils did not feel like deviating from the script. By hitting a forehand wide, Monfils handed Isner double break point. The Frenchman compounded that mistake with a ill advised dropshot to gift the break. Promptly with a love game, Isner consolidated for a 3-0 lead. 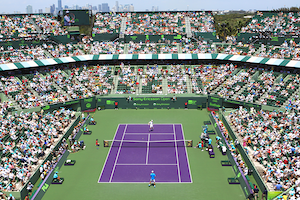 In the fifth game, a dreadful incident occurred whereby one of Isner’s serving bullets struck a spectator in the eye. After the injured person was attended to and a horrified Isner gathered himself, play resumed. With Isner leading 5-2, another rain stoppage came. With Monfils incapable of a break point, Isner captured the second set. At 3-2 in the decisive set, Monfils forced Isner into a forehand mistake for break point. By taking out his big gun, Isner salvaged the game to level the set at 3 all. The next time Isner served, Monfils was again at 0-30. Yet, he could not fabricate a break point. 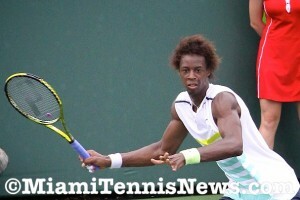 However, ahead 5-4, Monfils arrived at his first match point when Isner committed a forehand error. But with a crisp volley, Isner got to deuce. A second match point by Monfils was dismissed with a second serve ace. Not certain of the umpire’s call, Monfils challenged. With the review system malfunctioning, the call stood. Monfils shrugged it off; the two even exchanged a knuckle high five. Eventually, the tiebreaker settled the winner. As each competitor guarded serve, Isner thumped an ace to get to his first match point. Monfils replicated to square the breaker at 6 a piece. Then, with a courageous lob winner, Monfils secured his third match point. When Isner dumped his forehand into the net. Monfils booked a place in the final of a U.S. tournament for the first time. It’s conspicuous that these two share a mutual respect as they embraced at the net. Monfils said as much after the match “I have great respect for John. I like his mentality and it’s always a pleasure for me to play him”. Monfils expressed that he was relieved to finish the match. During the breaks, he had his coach to distract him and did not get too anxious. With the momentum after the first set, Monfils lost his way early on in the second. 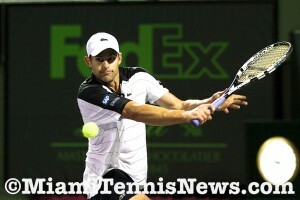 MiamiTennisNews.com asked him to evaluate that part of the match “he played two solid points and I played two fancy shots”. Monfils admitted that his judgment was flawed “instead of the dropshot, I could have hit another forehand . . . because from the baseline I’m a bit stronger than him. I did not play with my weapon. Once you lose serve against John, you know it’s three sets”. Although it’s less than twenty-four hours before the final, Monfils stated that fatigue will not be a factor. The shear adrenaline from being in his first final of the season will squelch any physical or mental tiredness. Isner was attempting to reach his third consecutive final after bagging the title in Newport and runner up status in Atlanta. Isner was also glad to resolve the semifinal tonight. Now, he can move on to his next stop, the Rogers Cup. 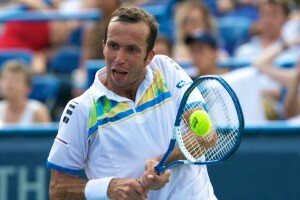 In tomorrow’s final, Monfils will collide with Radek Stepanek. 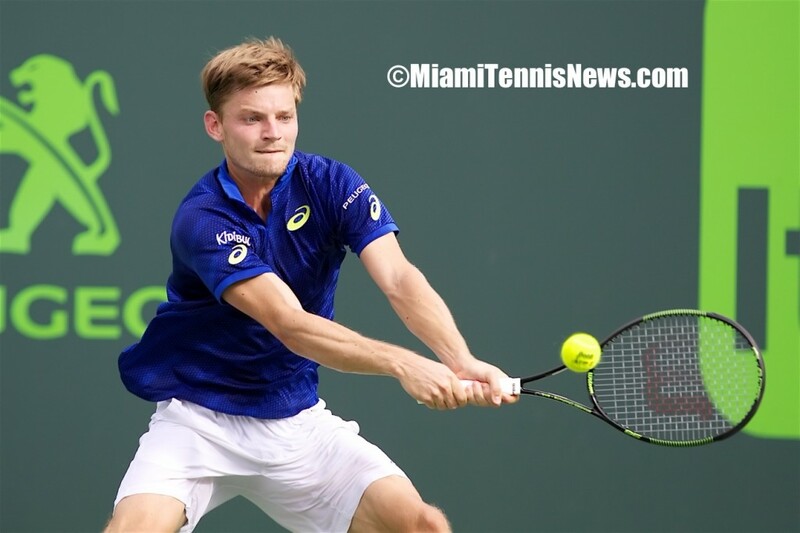 They last clashed in Hamburg a few weeks ago with Monfils victorious. Monfils is at a career high ranking of seven while Stepanek is world number 54. Although Monfils has been a finalist the last two years at the ATP Masters 1000 event in Paris, his three ATP titles have been at the 250 level. Both men have a losing mark in finals with Monfils at 3-10 and Stepanek 4-7. However, Monfils has a 5-2 record over his opponent. For both men it will be their maiden ATP 500 trophy.